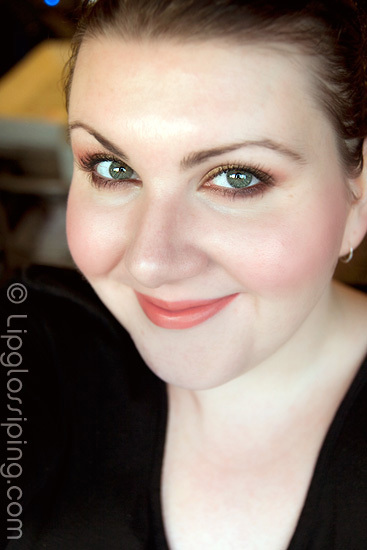 FOTD – Breaking out my pigments! Aside from that, I was really pleased with how this turned out! I was looking forlornly into my pigment drawer thinking that I don’t use them enough and although it was 6pm in the evening and I had just done my first DIY home facial (courtesy of Liz… yeah, we’re on first name terms innit) I decided to have a little play anyway. Was that the longest sentence in the blogosphere? Possibly. I really need to start using more than 2 eyeshadow shades, I really enjoyed playing! your eyes look amazing !! 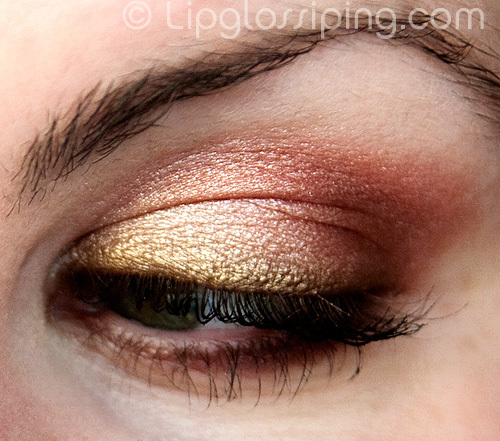 Very, very pretty- i’m into those kinda warm colours at the mo, as I bought the Sleek Sunset palette recently. I have quite a few loose shadows/ pigments, and I hardly ever wear them, you’ve inspired me! Looks amazing! Personally i don’t think you used too much blush, you look great. The eyes are just gorgeous. Just wanted to agree with everyone else’s comments – lovin’ the look! I don’t normally leave comments but felt compelled to disagree that you’d used too much blusher – I think you look glowy, and your eyebrows in particular look FAB! Keep up the good work – the uber-fair, snarky females among us demand it! such a gorgeous look. And not too much blush at all! I really need to try out Melon pigment soon. Well aren’t you gorgeous! The metallic look and color scheme of your eyes is especially nice. How do you like the BB Shimmer Brick? I’m tempted, but I’m afraid it’ll be too glittery! Waw, yeah a BB Cream base ^v^ You’re good at this, girl…your eyes are radiant! I love this look, it’s beautiful! I don’t use pigments too ofter but I’m always amazed by the result when I try a look with them. Very nice combo and I’m in love with your lipstick, gorgeous shade. I’ve been reading your blog for a few months ago, and I always love looking at your EOTD’s and FOTD’s, since I have a similar eye shape to you. The looks you do are always so pretty, and really give me an idea of what I could do. I really hope you never stop blogging.